The following topic describes what steps you should perform in order to add the Telerik UI for Silverlight in your application. There are two ways to do this - first one is to install Telerik Extensions for VisualStudio. The second one is by adding the necessary assemblies as references in your application manually. No matter which of the two manners you will choose, you will be able to use the Toolbox to create your application. 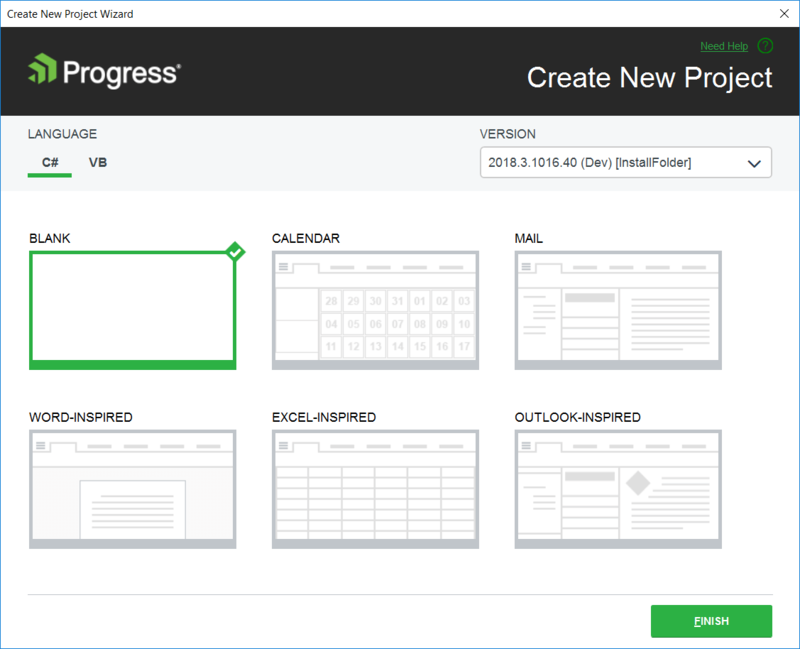 Create new Telerik Silverlight application. Choose the application template. The options are a blank template or one of the MS Office inspired application templates. Choose the Blank option. At this point the project references only the common Telerik.Windows.Controls.dll. 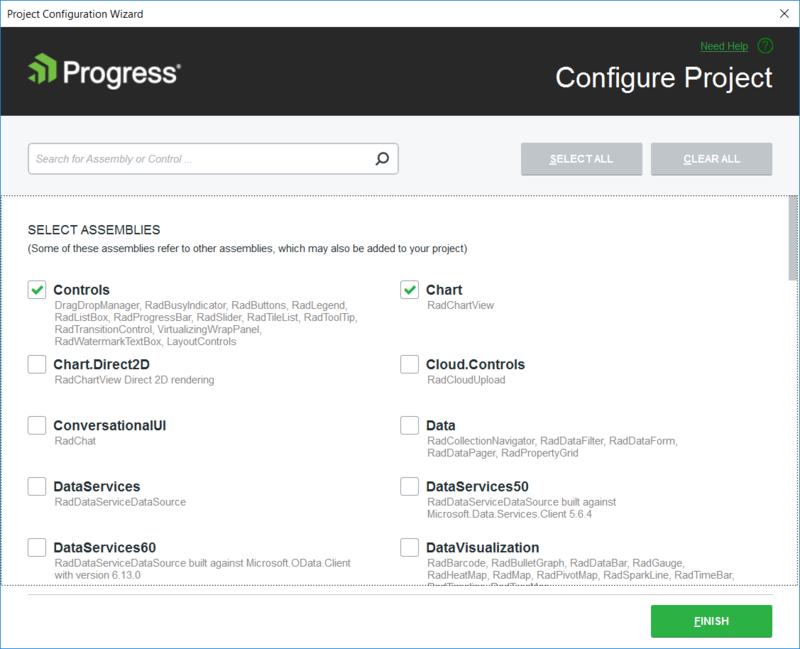 Configure the project using the Project Configuration Wizard. This will add the dlls required by the controls you want to use. When you open the wizard you can select the control you are going to use from the list (or search them in the search box). Clicking OK will add all required references for the controls. This step is optional and you will need it only if use controls that are not defined in Telerik.Windows.Controls.dll. Add references to the Telerik assemblies. There are two options to do this. Drag a Telerik control from the toolbox. When the control gets dropped onto the Visual Studio designer's surface, Visual Studio will automatically add the corresponding references. Manually reference the Telerik dlls from the UI for Silverlight installation folder. The binaries are located in the UI for Silverlight installation folder/Binaries/ or *UI for Silverlight installation folder/Binaries.NoXaml/. To learn about the differences between the dlls in the Binaries and the Binaries.NoXaml folders, check out the Xaml vs NoXaml article. 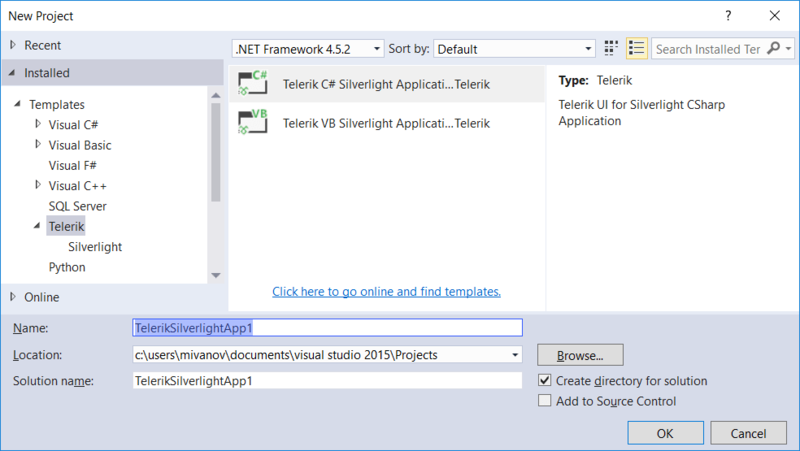 Add the Telerik Silverlight controls to the Visual Studio Toolbox. See the assemblies required by each Telerik control in the Controls Dependencies article. Open MainPage.xaml of the project you have previously created (in the Creating Application and Manually Referencing the Telerik Assemblies section). 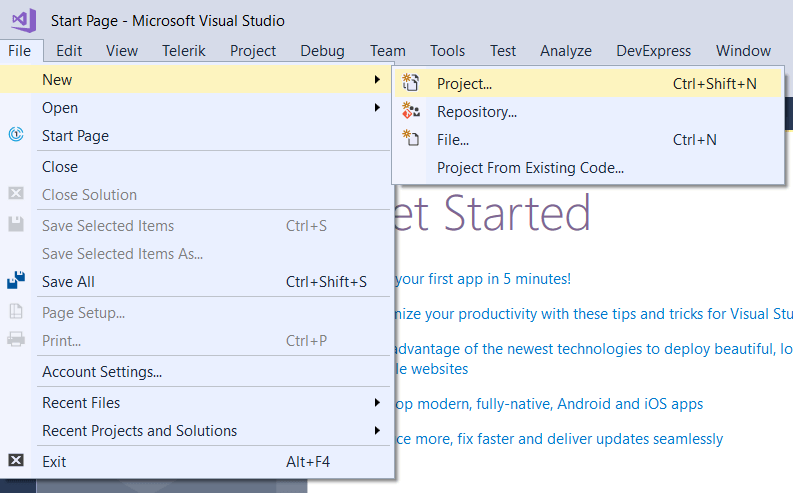 Select any Telerik control in the Visual Studio Toolbox. Drag and drop the control in the Visual Studio XAML designer. After dropping a control, Visual Studio automatically creates a namespace that points to the appropriate assembly. If you want to manually set up a namespace take a look at the Namespace Declaration topic.